Harold Edgerton’s “Water From a Faucet,” on display at the MIT Museum. CAMBRIDGE — It took a long time for photography to be considered art. It’s always been technology. The medium as intersection of art and technology are on display at the MIT Museum (a fitting location) in “Images of Discovery: Communicating Science Through Photography.” The show runs through March 1 of next year. “Images of Discovery” consists of work from three photographers associated with MIT: Harold “Doc” Edgerton, who was a much-beloved figure on campus for many decades; Berenice Abbott, who spent time at MIT in the ’50s working on the photographic visualization of science; and Felice Frankel, who’s affiliated with the university’s Center for Materials Science and Engineering. The show has another notable element: a half dozen interactive stations where museumgoers can create digital versions of the sorts of images seen in the gallery. It’s a striking way to get across how these three photographers combined experimentation and artistic creativity. It’s hard to predict who’ll enjoy the stations more: kids or their parents. Through his development of stroboscopic photography, Edgerton produced some of the most striking images in the history of the medium. Several of them are among the most familiar, such as the “coronet” produced by a drop of milk. It like a pearly crown of creation. 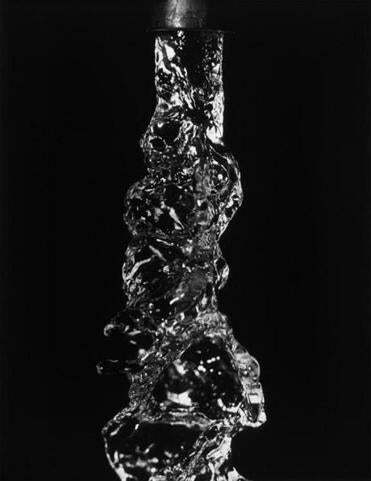 That photograph is in the show (we learn that Edgerton chose milk because it photographed better than water), as is a less familiar image in the series, with the displaced milk forming a spout. “Bullet through Balloons” echoes Edgerton’s more famous image of a bullet bursting an apple. “Hammer Breaks Plate Glass” turns an act of destruction into one of aesthetic purity. “Water From a Faucet” effects a different sort of transformation: giving liquid the appearance of solidity as a swirling crystal — assuming, that is, crystal ever swirled. That’s the essence of what Edgerton did: upending our visual expectations and making us see the world differently. Mushiness, either personal or visual, is about the last word one would associate with Abbott. Where Edgerton’s photographs take the mundane and produce something (seemingly) miraculous, Abbott’s aim was to take scientific principles and concepts — interference patterns, the conservation of momentum, refraction, magnetism — and make them visible. The same exacting eye she had brought to her portrait work in Paris during the ’20s and documenting of New York cityscapes during the ’30s she brought to science. A photograph like “Light Passes through a Prism” is at once superbly illustrative and supremely elegant. Is it art? Is it science? Yes. Unlike Edgerton and Abbott, Frankel works in color. Some of her most vivid images show materials invisible to the naked eye — so much so as to be almost invisible to comprehension. Ferrofluids, for example, are particles just nanometers in length suspended in fluids. 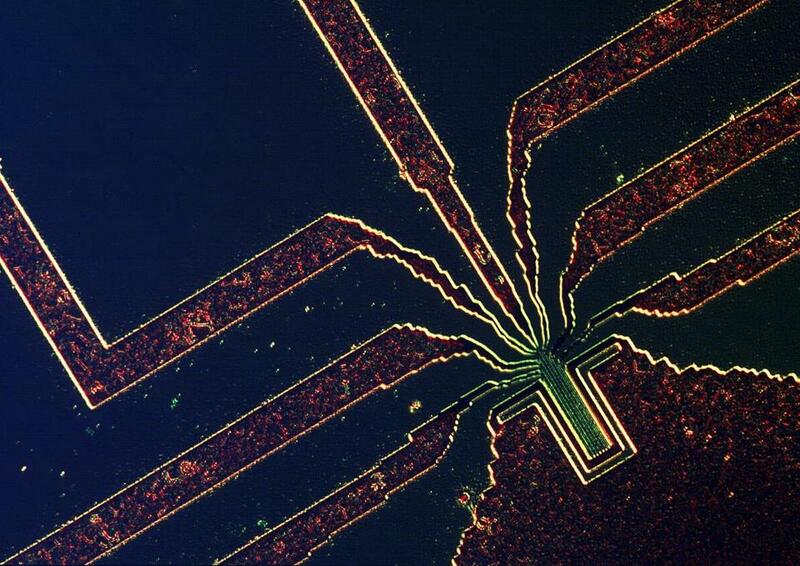 Or there’s the laser etching on silicon chips necessary to enable microelectromechanical systems. As with what Edgerton and Abbott show us, these images are so startling (and so often beautiful) that seeing almost isn’t believing. It’s learning.